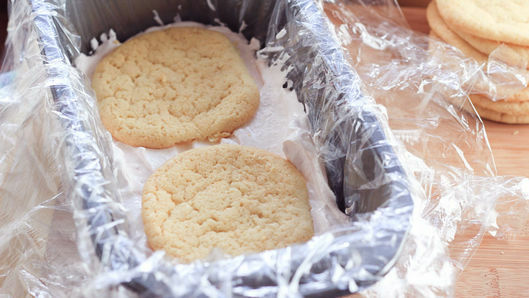 Cut 1 roll (16.5 oz) Pillsbury™ refrigerated sugar cookies into 1/2-inch-thick slices; place on cookie sheets. Bake 14 minutes. Immediately remove from cookie sheets to cooling racks; cool. While cookies bake and cool, line 9x5-inch loaf pan completely with plastic wrap overhanging sides with enough to wrap cake. Add 1/2 cup strawberry jam or preserves to 1 container (16 oz) thawed frozen whipped topping; using large rubber spatula, fold to combine well. Place one-fourth of whipped topping mixture in bottom of loaf pan; top with 2 cookies. 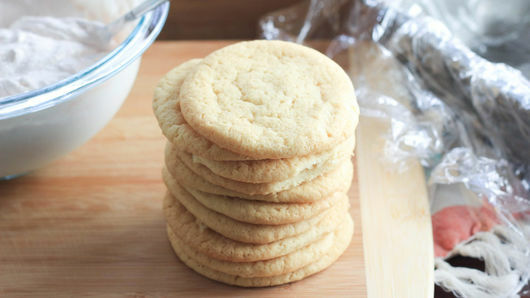 Repeat to make 4 layers, using 2 cookies per layer. Wrap plastic wrap over top. Freeze at least 6 hours. Store remaining cookies in airtight container. To serve, place plate upside down over loaf pan; turn plate and pan over. Remove pan and plastic wrap. 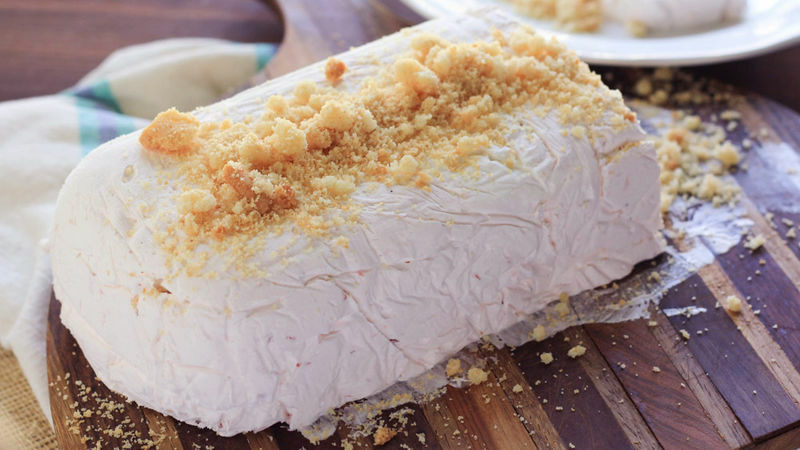 With serrated knife, cut frozen cake into slices; place slices on individual plates. Crumble 6 of the remaining cookies; garnish each serving with crumbled cookies. 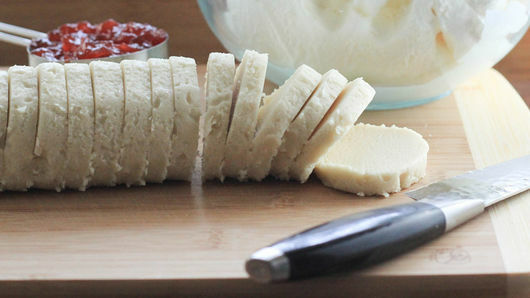 Serve with sliced fresh strawberries for an extra-special touch. Add sliced fresh strawberries to the cookie layer for a fresh bite!